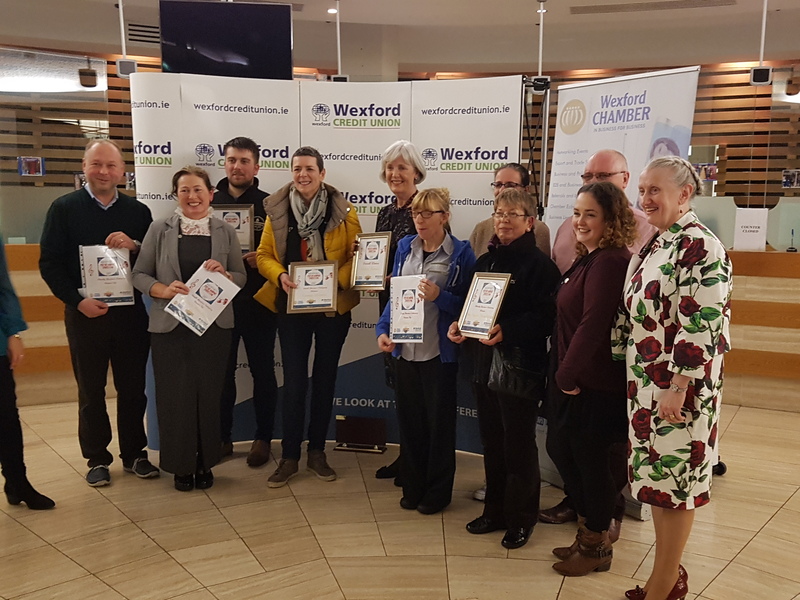 Wexford Credit Union was a hive of anticipation last Friday 20th October as Wexford’s retailers attended en masse to find out the winners of this year’s Festive Windows Competition. The competition was organised by Wexford Chamber as part of this year’s Fringe Festival and was sponsored by Wexford Credit Union & South East Radio. Joss O’Connor, Chairperson of Wexford Credit Union, was delighted to welcome everybody along to the prize giving and commended all for keeping the tradition of the Windows Competition alive and kicking. 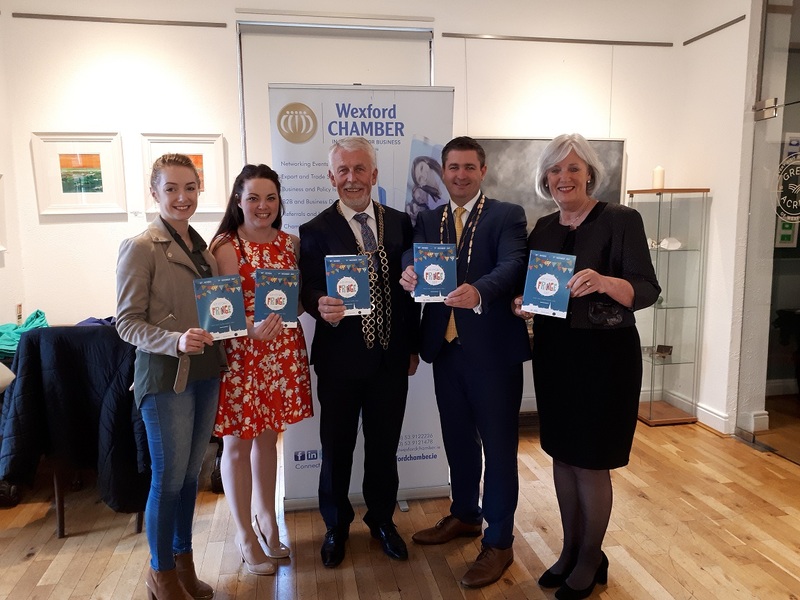 The judging panel, comprising of representatives from Wexford Festival Opera and Wexford Credit Union spent Friday morning visiting all the shop windows and were extremely impressed with the effort the retailers put into their window displays. Slaney Flowers picked up two awards including the overall winner award with the judges citing the originality and humour in their display as being the reasons for their choice. Ingrid Kehoe of Slaney Flowers was presented with the with the prestigious Caroline Thomas Memorial Trophy, together with the overall prize of €500 worth of free advertising sponsored by South East Radio. Marion Barry of South East Radio made this presentation. Other notable winners on the evening were Atlantis Seafood who created a display and backstory that wowed the judges. Sue Ryder Foundation impressed the judges with their subtle but extremely creative use of pasta in their window display. Runners up on the evening were NCBI, Wedding Day Bridal & O’Brien’s Café who all were acknowledged by the judges for their impressive window displays.